While many people think that l-carnitine and acetyl l carnitine are interchangeable, the two actually are biochemically different. While you can substitute acetyl L-carnitine (ALC) for L-carnitine (LC), it has its own properties that make it unique. 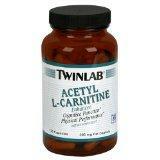 Acetyl L carnitine is closely related to L-carnitine. It is an L-carnitine molecule that has attached acetic acid. Acetic acid is a weak acid commonly found in vinegar. While ALC can be used in place of LC as an essential amino acid, it has unique properties that separate it from LC. ALC is used to treat patients with cognitive function disorders such as age-related dementia and Alzheimer's disease. As a matter of fact, in his book, The Brain Trust Program, Dr. Larry McCleary recommends ALC supplementation to improve memory and cognitive function, as well as to decrease migraine headaches and brain fog associated with menopause. The acetyl group in ALC can combine with choline in the body. This creates acetylcholine, a compound that helps improve nerve function. This may be, in part, why ALC is effective in improving cognitive impairment. Other neurological conditions that may benefit from ALC include fibromyalgia and Parkinson's disease. ALC protects the nervous system. Older adults who demonstrated age-related nervous system disorders such as forgetfulness, depression, and decreased mental alertness, frequently test with low levels of ALC. ALC improves the energy production of cell mitochondria, which improves cell function and cell energy reserves. No known toxic levels have been established for ALC. 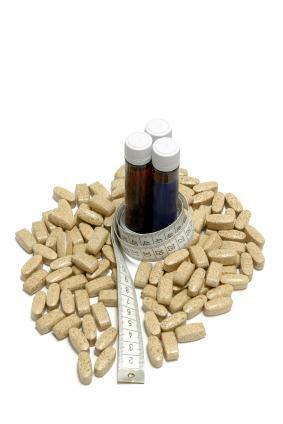 While there is no known toxicity, it is best to be cautious when supplementing. Talk with your doctor before supplementing with ALC. Your body produces some ALC; however, most of it comes from meat sources such as lamb and beef. You can also supplement ALC. A 2005 Wayne University study conducted by Anders Sima et al. and printed in the American Diabetes Association publication, Diabetes Care examined the effects of ALC on diabetic patients who took the supplement for 52 weeks. The study concluded that ALC helped reduce symptoms associated with diabetic neuropathy and assisted in nerve tissue regeneration. A 2010 study conducted at the Tokyo Metropolitan Institute of Gerontology by S. Kobayashi et al. and printed in Geriatrics and Gerontology International evaluated the effects of ALC on aging male rats for cognitive function. The study showed that learning capacity increased with ALC supplementation. In another 2010 study conducted at Clinica "Villa Maria Pia" in Rome by Giovanni Martinotti and colleagues assessed the effect of ALC supplementation on alcohol cravings in recovering alcoholics and found that it reduced craving, at least during the short-term period (90 days) of the study. Longer term evaluation is warranted. ALC research continues to emerge. Although it is similar to L-carnitine, ALC appears to offer health benefits above and beyond those of L-carnitine, and it may be efficacious in treating many neurological and cognitive conditions. Before self-treating, talk to your doctor about ALC and its effects on your body.